Henry Thoreau liked to get his feet muddy; all nature was a tonic for him. Nearly every day, year round, he was out walking — exploring and studying every nook and cranny in Walden Woods, Estabrook Woods, and the rest of Concord, and recording in his journals in vivid detail what he heard and smelled and saw. On warm Sunday mornings, he waded up to his shoulders in the Concord River while his neighbors sat high and dry in their church pews. 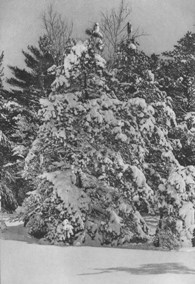 While his neighbors tilled their fields, he climbed the tallest white pine trees he could find in a search for bird nests, pine cones, or a fine view. Thoreau’s study of how plant seeds are spread led to his theory of forest succession, accepted today as a key contribution to the field. As his understanding and intimacy with the world of nature developed, Thoreau became one of its earliest champions. Watching Concord stripped of its forests for farming and fuel-wood, and seeing the village expand into the countryside, Thoreau looked to the future and raised new possibilities. “Each town should have a park, or rather a primitive forest, of 500 or a thousand acres, where a stick should never be cut for fuel, a common possession forever, for instruction and recreation,” he wrote. Largely overlooked during his lifetime, he is now praised as one of the nation’s most powerful voices for the natural environment. “In Wildness is the preservation of the World,” he wrote, and with such statements helped shape the thinking of modern day environmentalists. Today countless people point to Thoreau as the father of this century’s environmental movement. Thoreau is an American original — an amazing mix of land surveyor and pencil designer, naturalist and social reformer, poet and philosopher. But Thoreau himself had something perhaps more revealing to tell us about himself and his work. “My profession is always to be on the alert to find God in Nature, to know his lurking-places, to attend all the oratorios, the operas, of nature.” In a river, he found the flow of eternity; climbing a mountain he felt his spirit move closer to God. “I believe in the forest, and in the meadow, and in the night in which the corn grows.” It was as though he could see through Nature to a glimpse of the divine. What might sound to us like a contradiction made perfect sense to him: “Heaven is under our feet as well as over our heads.” Exalting his own small world of Walden Pond and Walden Woods and the Concord countryside, Henry Thoreau exalted nature for all of us everywhere.